Kick off your Feast of the Seven Fishes with this light and refreshing cocktail, featuring notes of tangerine, citron and anise. 2 Juice one tangerine over a strainer (to catch seeds). Set liquid aside. 3 Combine tangerine juice with vodka, anisette and simple syrup over ice. Stir until well mixed. 4 Refresh collins glass with two new ice cubes. 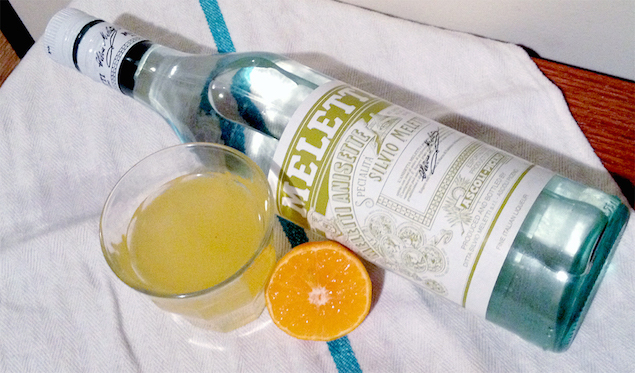 Pour tangerine, vodka, anisette mixture into the glass. Top with cold club soda.